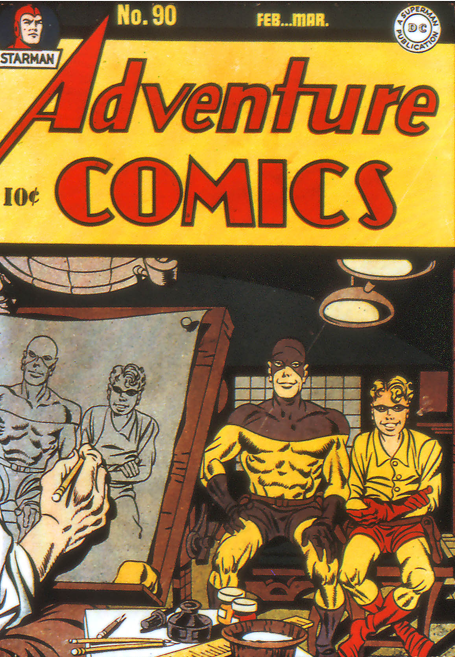 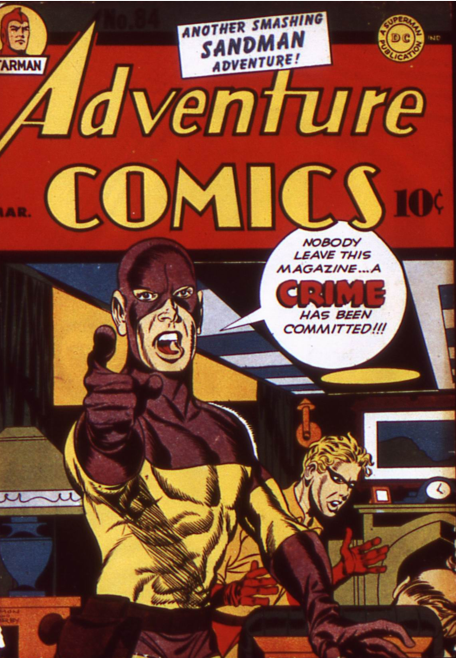 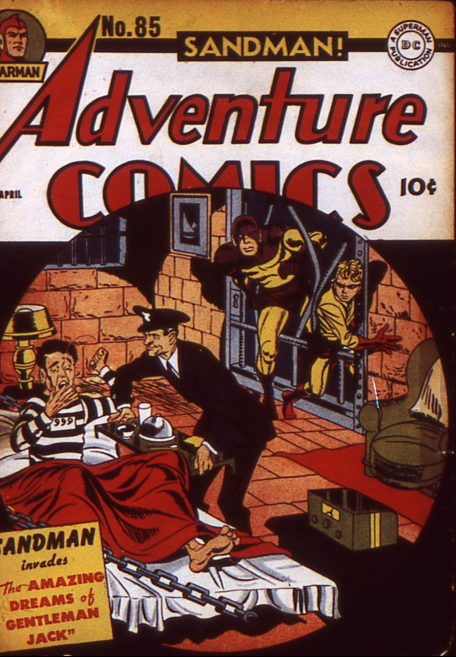 Adventure 81 – Sandy the Golden Boy to the Rescue! 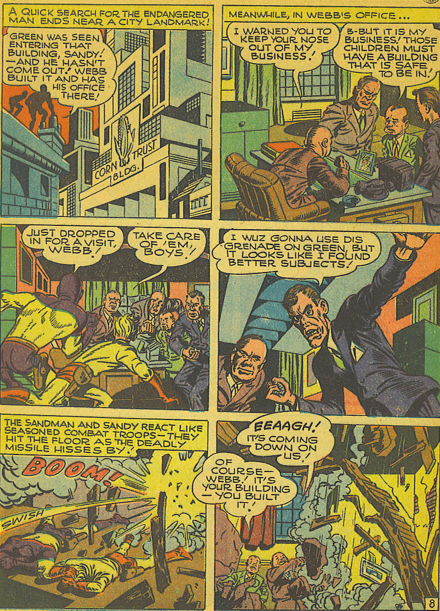 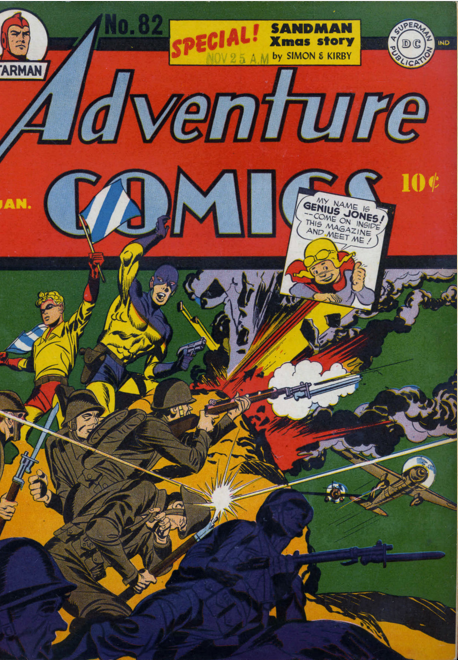 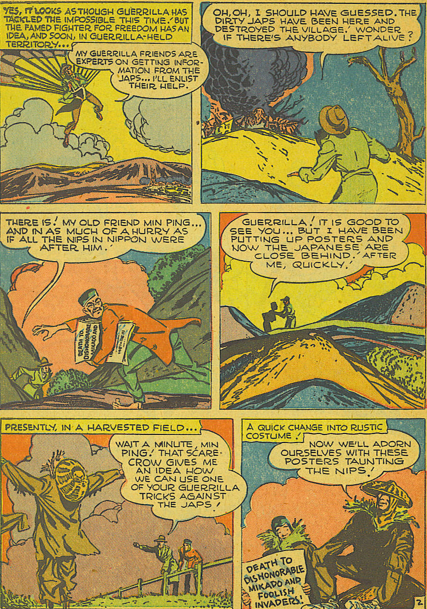 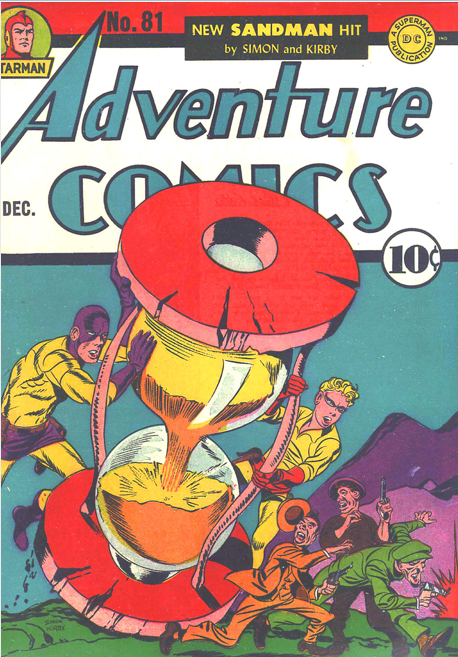 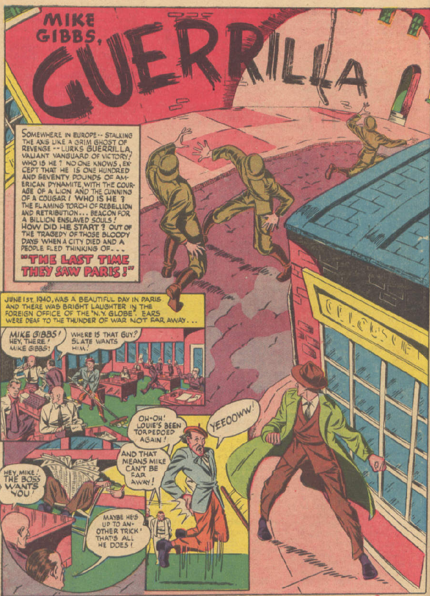 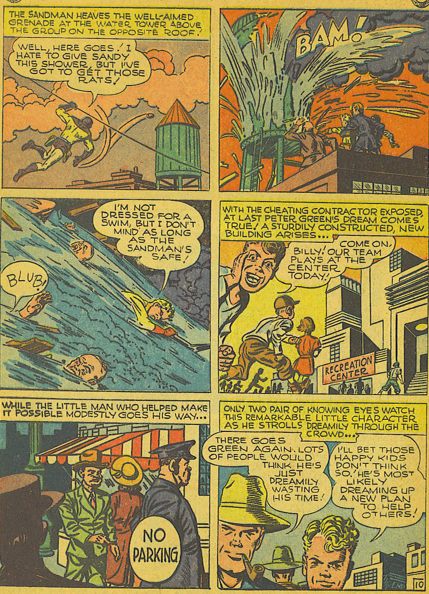 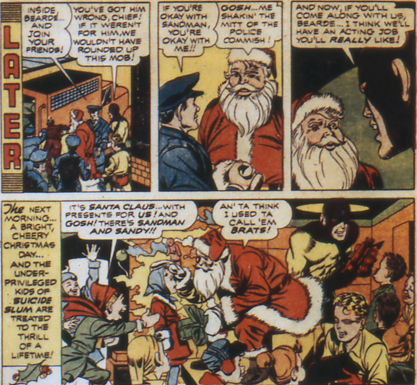 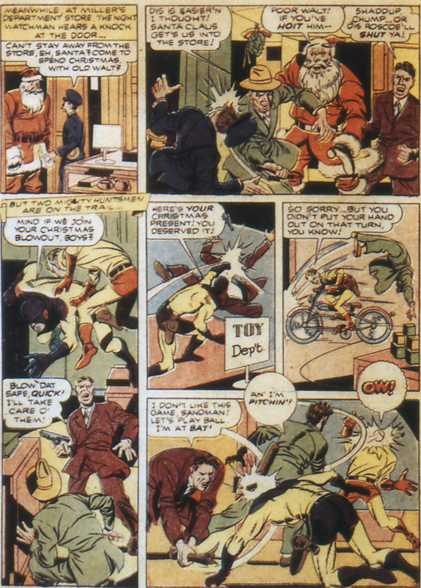 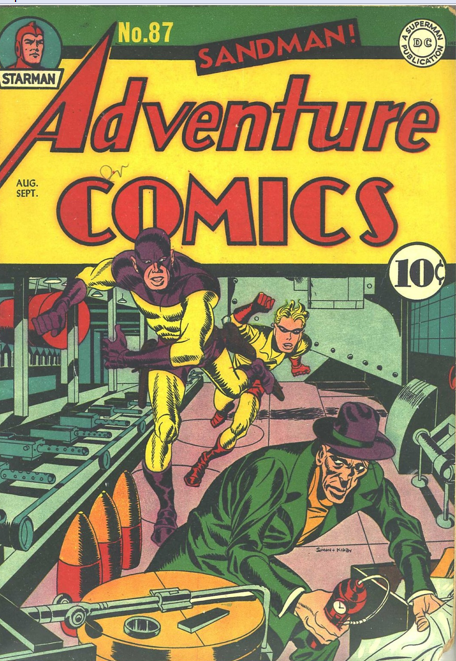 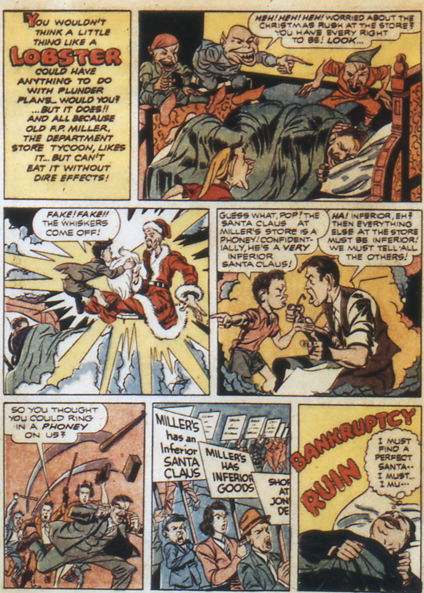 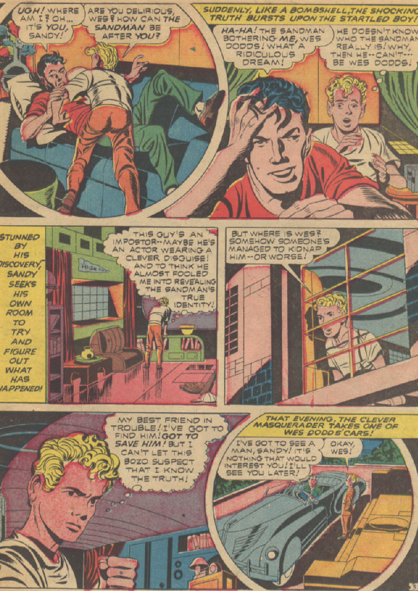 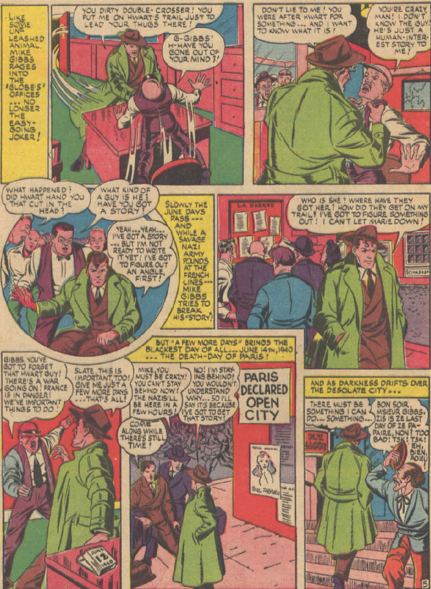 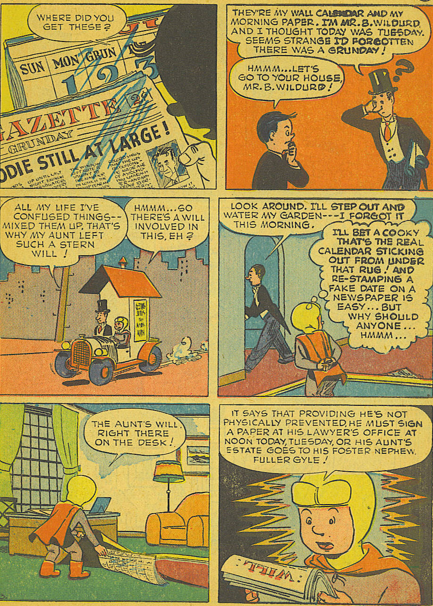 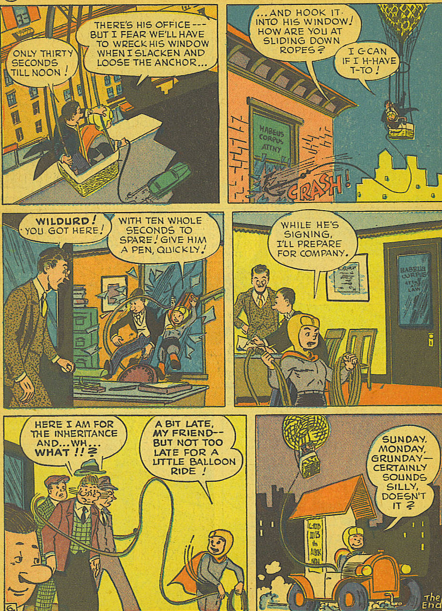 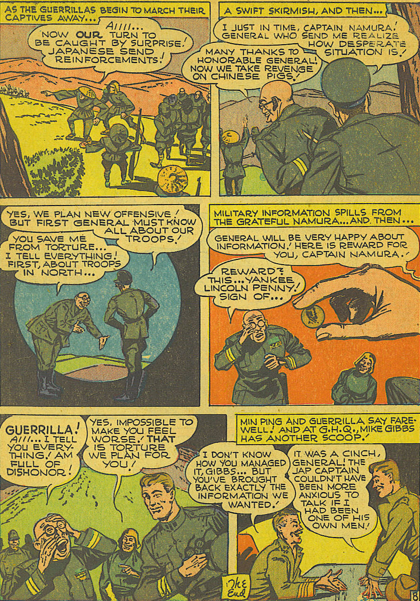 Sandy the Golden Boy is not a name to strike terror in the hearts of anyone, but Adventure 81 (Dec 42) gives him his best role of the run, and shows that he has courage, if not a sense of self-preservation. 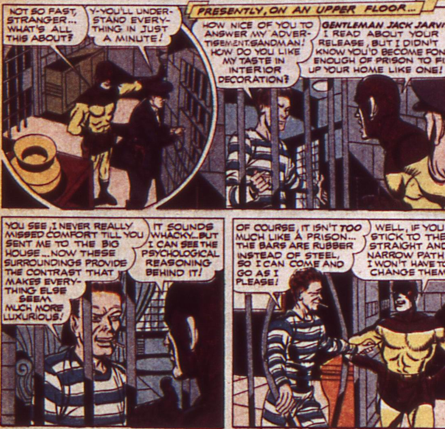 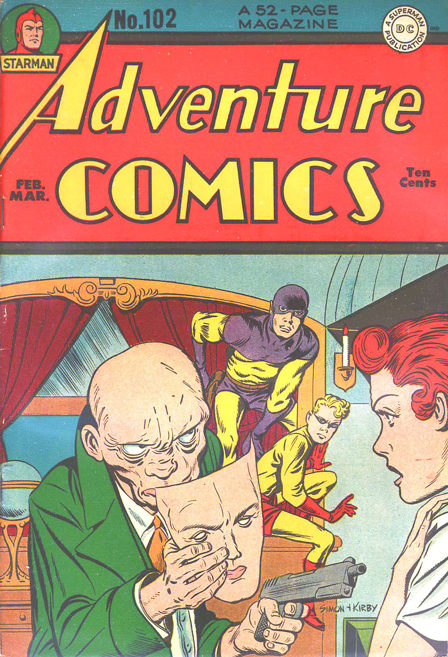 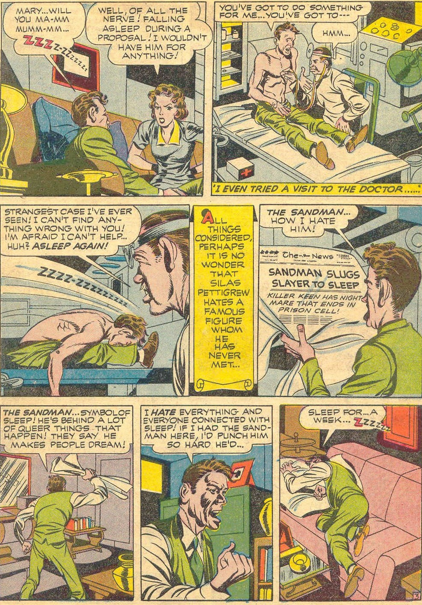 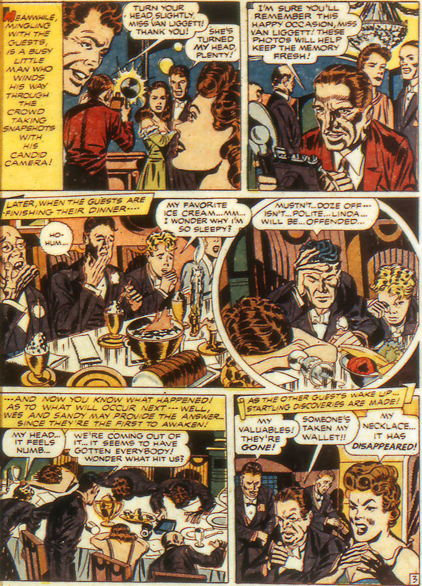 The story opens with a great twist, as Wesley Dodds wakes from a nightmare about the Sandman, and Sandy realizes that Wes is being impersonated. 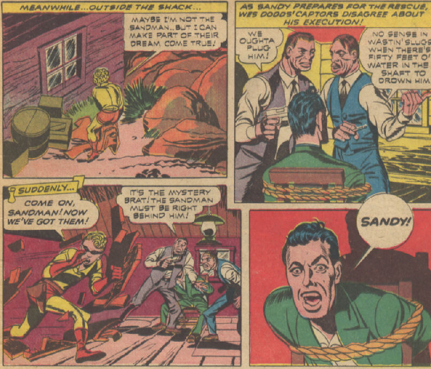 Without giving on that he has figured it out, Sandy manages to track down the captured Wes. 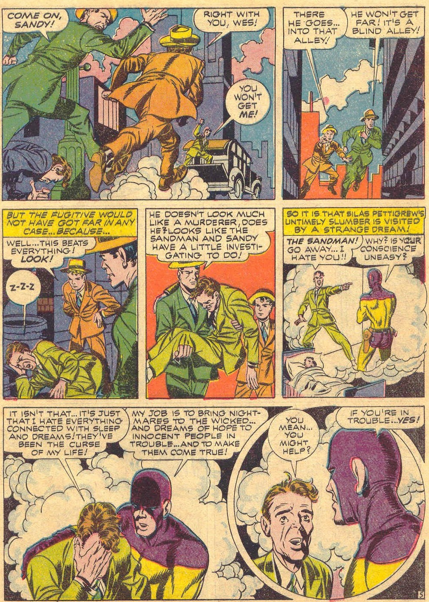 He storms right on in, pretending that Sandman is following him. 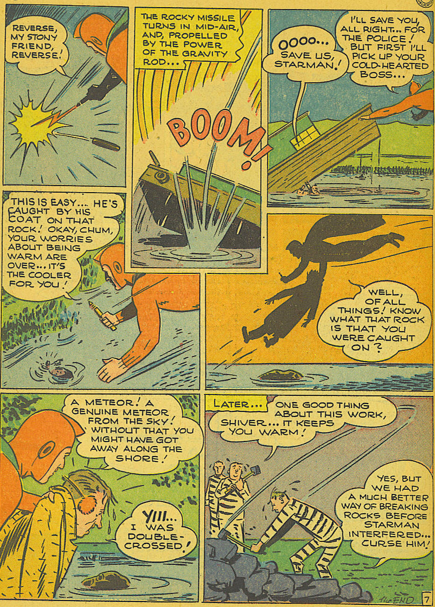 It fails, and the kidnappers toss him and Wesley into a flooded mine pit. 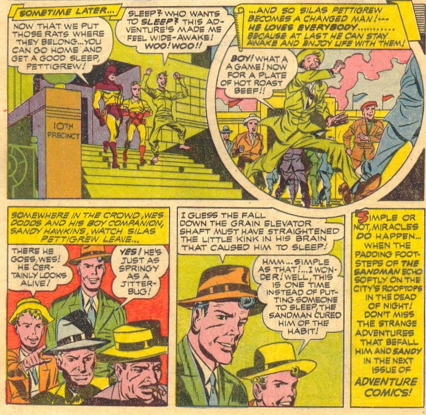 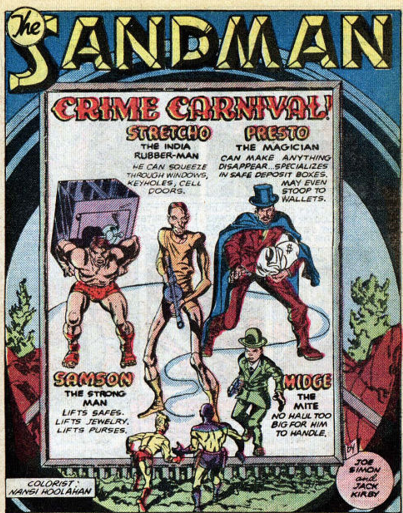 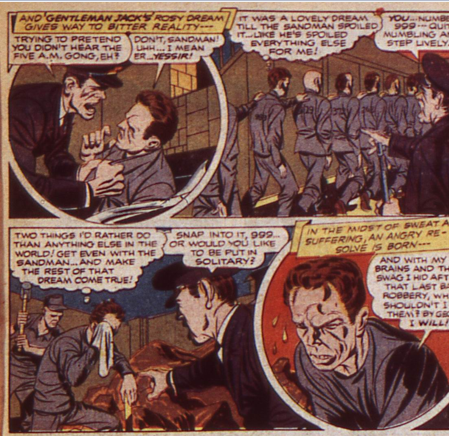 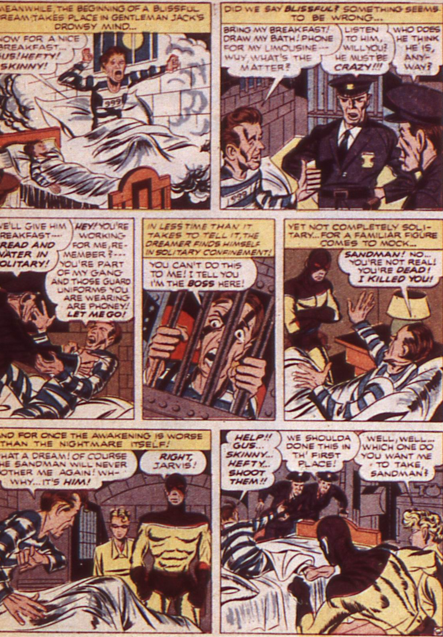 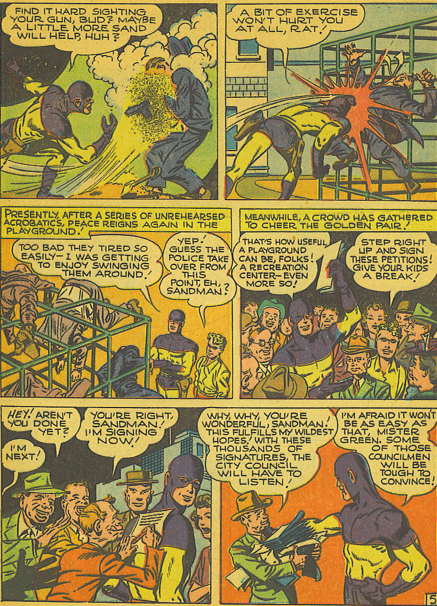 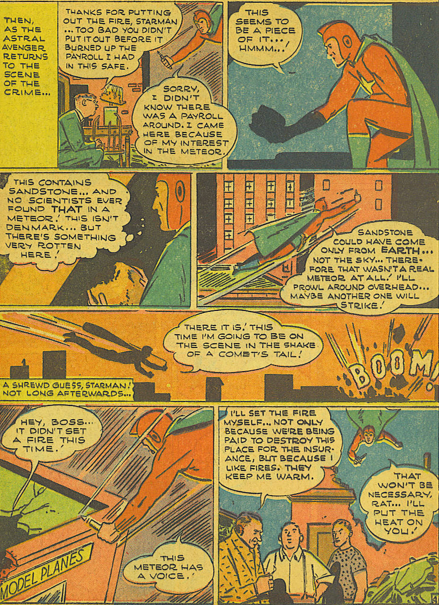 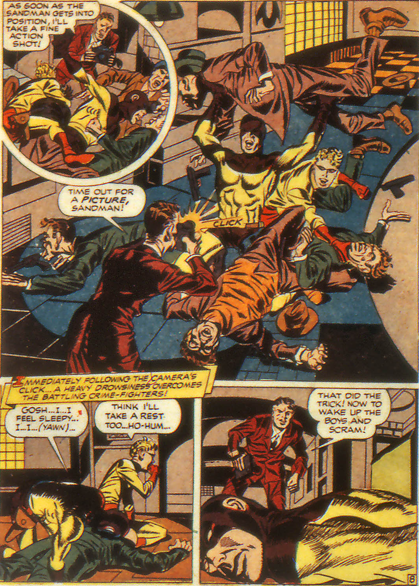 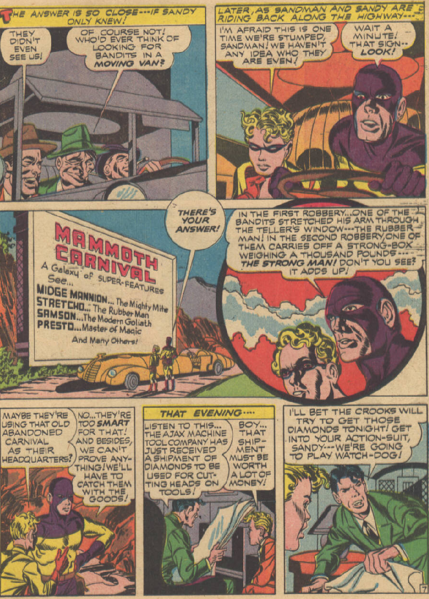 But of course our heroes escape and prevail, defeating the impersonator before he can pull off a stick swindle.